Chief Fire Officer Perc Douglass and Station Officer, Driver Bill Maloney, in official car (Armstrong Siddely). Alpine Rally. 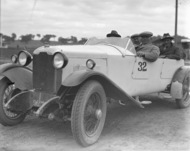 Rally car with four passengers. 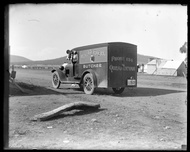 Motor van of W T O'Brien, butcher at Queanbeyan. 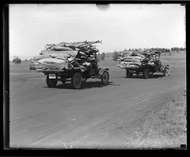 Two motor trucks carrying firewood. 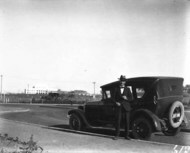 Two golfers with a motor car.